Are you going through a long day? Daily Inspirational Quotes and Sayings is a great selection of quotes that will help you cope up and empower you to live your life to the fullest. Life is a problem-strewn arena and sometimes you're on the verge of giving up and all you want to do is quit. But there are wonderful things that life has to offer. It's just that you have to keep your faith, do what you're ought to do and be optimistic rather than sitting in the corner and doing nothing at all. Always start your day with a positive thought and a happy heart. True friends accept who you are. Positive thinking is not about EXPECTING the BEST to happen. It’s about ACCEPTING that whatever’s bound to happen, it’s for the BEST. 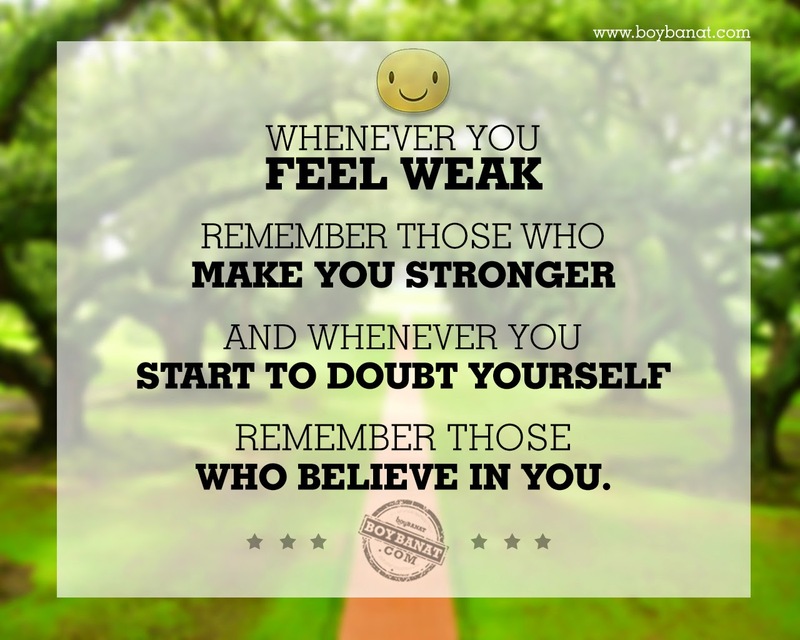 Whenever you feel weak, Remember those who make you stronger And whenever you start to doubt yourself, Remember those who believe in you. and the most valuable gift to someone we care for. but I am as fine as God wants me to become. If someone wants to be part of your life, they’ll make an effort to be in it. So don’t bother reserving a space in your heart for someone who doesn't make an effort to stay. Anger is what you feel when you go to shower without water. But a happy heart knows how to laugh about a minor incident like it. As long as there are good friends who tap your back for all the cute and sweet concerns, failure will just be an ant bite. Better not to mind the thing that depresses you, because it only makes you weak inside and out. There are a lot of things you can give your time into. Don’t get stuck with the things that ruin your day. SMILE and be happy! Elated moments are bits n pieces of reasons to keep our day at ease. Let us try to collect Happiness like showers. Take it easy. You have your own Tagalog or Filipino Daily Inspirational Quotes and Sayings? Feel free to share them with us and we'll be glad to have them posted here. Just Contact Us and will get back to you soon. 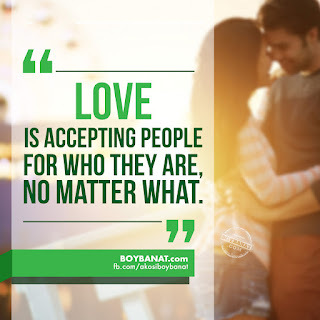 You can also visit Boy Banat Official Facebook page for more Quotes, Jokes and Banat Lines.